Vanilla frozen custard blended with your favorite topping and malt powder. 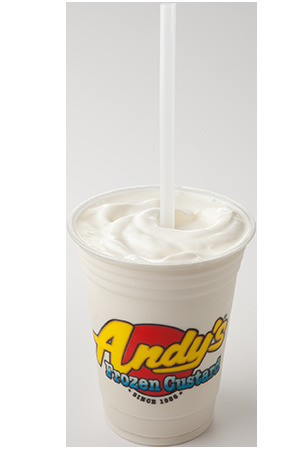 Vanilla frozen custard blended with your favorite soda. Scoops of vanilla frozen custard with your favorite soda poured over the top. Scoops of vanilla frozen custard with your choice of cherry, chocolate, raspberry, strawberry, or key lime flavored syrup combined with seltzer. Lemon, strawberry or raspberry lemonade flavor Italian ice tube.